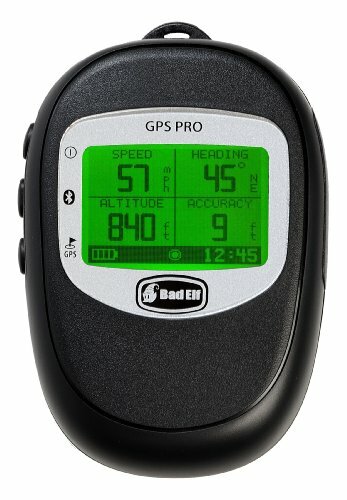 The Bad Elf GPS Pro shares location information with up to five iOS devices simultaneously using Bluetooth technology. Large LCD display shows critical status information about location, power, Bluetooth connectivity, and trip data storage. Record up to 100 hours of trip data for sharing and storing. Extra long battery life of up to 16 hours using Bluetooth or up to 35 hours just data logging. The rugged and splash proof enclosure stands up to outdoor use. Works with all location based apps. Connect up to 5 devices at a time via Bluetooth technology. Now also compatible with the iPhone 5, new iPad, iPad mini, and iPod touch 5th generation. If you have any questions about this product by Bad Elf, contact us by completing and submitting the form below. If you are looking for a specif part number, please include it with your message.